Ready to rock in August and September! BJ is hosting an open mic/jam this Wednesday, Aug. 13th at 7:30 pm at Steve's Live Music. Bring your instrument and share your music! Carly will show up after work and sit in, too. $5 at the door. We're thrilled to be opening for Taylor Martin at Music On Main Street Saturday, Aug. 16th. Visit the website for details and plan on attending this show at this beautiful outdoor venue in Lilburn. We're performing at the Piedmont Park Arts Festival on Sunday, Aug. 17th! We're back in Canton, GA at Sixes Tavern on August 27th! We will be performing in Hailey, Idaho on September 5th from 8:30 to 11:30 at Sun Valley Brewery. Tickets are $5 at the door. The poster is below! 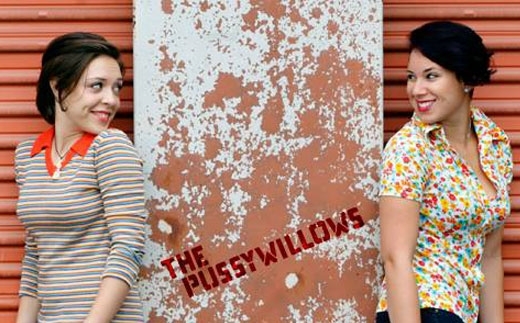 Carly's side project with Hannah Zale now has a name: The Pussywillows. Follow them on Facebook, Google+, Twitter, Instagram, and ReverbNation!